The point of an interview and the hiring process is to get to know the candidate and see how well they would work within the company. While it is very important to make sure the impression is right, there is no need to go overboard with the amount of time spent interviewing during the hiring process. There are several ways to streamline the hiring process to keep from wasting valuable time. This is especially important if you are a new company and need all of the man hours you can get. What was a problem you faced with (insert previous work experience here) and how did you overcome it? These questions require a different kind of thinking than the standard “do you work well with others?” type questions and tend to reveal more about who they are. If they give you cookie-cutter answers and that’s not what you’re looking for then give them the axe. If they give you an original answer they are probable to answer honestly and as themselves, and if you don’t like that then give them the axe, too. See, it’s fun to streamline. 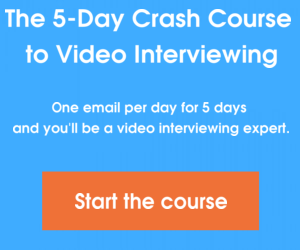 Another way to streamline the hiring process is through video interviews. While you may prefer to use a good old fashioned handshake to judge someone’s character, if you are looking to save time (I’m looking at you, start-ups) then you may want to consider video interviews. They are easy to conduct and can be done from the office or from home. If your office is under construction the video interview can keep candidates from having to see it; you are trying to sell your organization as well, after all. Video interviews are a relatively new technology, but in a few years I suspect almost all initial screening will be done through them. While video interviews are good for weeding out a large quantity of applicants, they aren’t meant to replace the final phase of interviews. In the final phase it is vital to meet the candidate in-person, so make sure you don’t skip this step. What do you think of these tips for streamlining your interviewing process? Tell us in the comments.